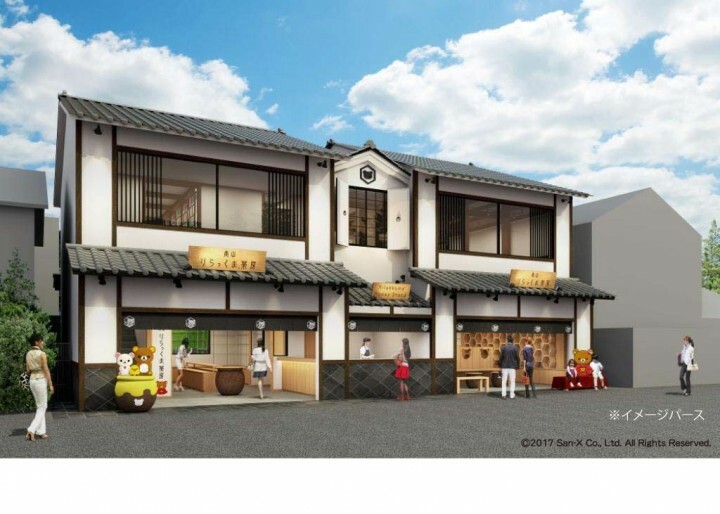 A cafe with the theme “Japanese style” X “Rilakkuma” will open in Arashiyama, Kyoto! 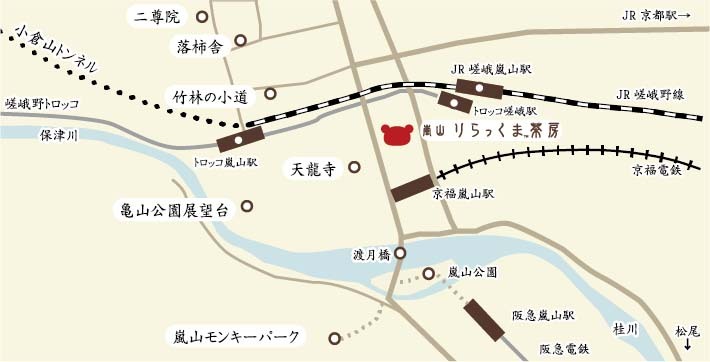 “TELACOYA” and “San-X” will open a Japanese style cafe “Arashiyama Rilakkuma” created with the theme of “Japanese style × Rilakkuma” at Arashiyama, Kyoto. Also, they will hold an opening ceremony on the 28th of October. 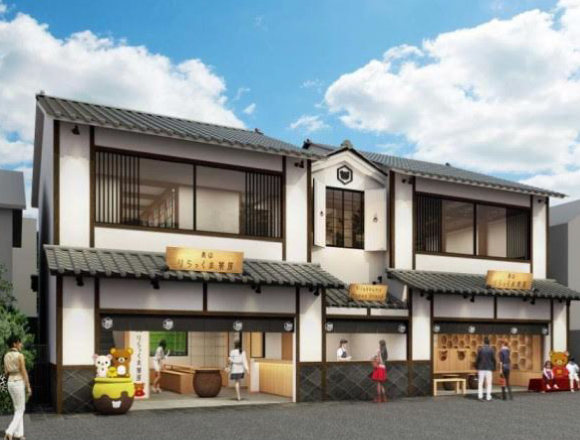 One of the main sightseeing spots in Arashiyama, Kyoto is the main street between “Togetsukyo” and “Chikurin no Komichi.” The Japanese style cafe “Arashiyama Lilakkuma Sabo” will open in front of the world cultural heritage site, “Tenryuji” which is located halfway down this street . The inside of the cafe was created with the theme of a “two-storied storehouse” and is decorated with Rilakkuma goods and traditional crafts of Kyoto. The first floor contains a take-out shop which offers desserts and drinks, a dessert/food shop that sells food and desserts which use honey and a general store that sells collaborative goods with Kiyomizuyaki and small Japanese styled goods which use Nishijinori, a traditional craft of Kyoto. In addition, store-limited goods such as “macchawan” （cups for greentea）towels, microfiber mini towels, coasters and tote bags will be sold and a goods shop that sells goods related to “Rilakkuma” will be opened. The backyard has an eat-in space and is a suitable place for taking commemorative photos. The tearoom located on the 2nd floor offers healthy foods that use fresh vegetables, Western style dessert that has the essence of Japanese style and various kinds of drinks. Why not go to this spot when sightseeing Kyoto. Please note that depending on the situation, we may not be able to offer you your requested orders. This website will opened from late October, 2017.